What are and why would you need a Sworn Translation in Lanzarote ?. For any documents not already in the spanish language. They may require official translation by a sworn professional if destined for use before a Spanish authority. What is a sworn translation in lanzarote.? 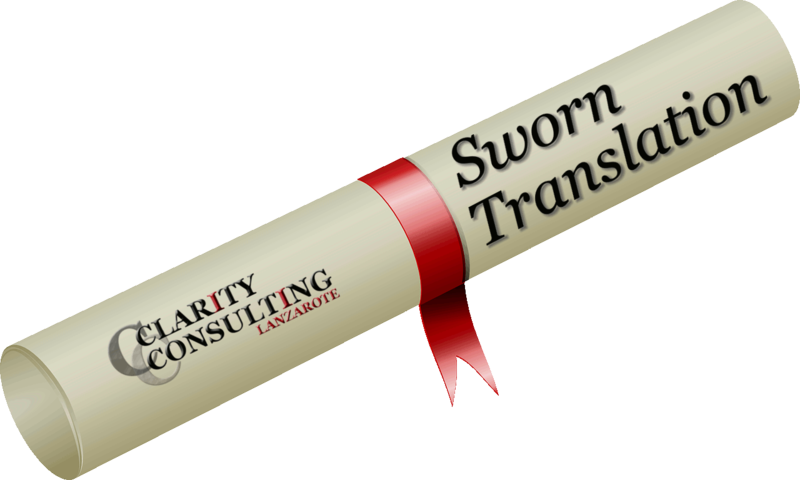 In Lanzarote (Spain), a sworn translation is an official translation of a document which has been certified by a sworn translator’s signature and seal. This attests that it is a true and accurate translation of the original. A sworn translator in Lanzarote (Spain) is accredited by the Ministry of Foreign Affairs and Cooperation (Ministerio de Asuntos Exteriores y Cooperación) to translate and legalize documents. Documents which originate from countries such as the United KIngdom and Ireland destined for use in Spain will need an apostille stamp to legalise them in accordance with the Hague Convention. Why would you need a sworn translation in Lanzarote ? A sworn translation in Lanzarote (Spain) may be required by certain government, academic, legal or financial institutions for certain procedures. For example, you might need a sworn translation of your birth certificate if you plan to marry (or remarry) in Lanzarote. Some examples of doc’s you may need to have translated. City and Guilds certificates, Divorce certificate, Birth, Marriage and Death certificates. This is a very simple process, for more details visit the web pages.https://www.gov.uk/get-document-legalised for British documents, and https://www.dfa.ie/travel/our-services/authenticating-documents/ for Irish documents. There are, as you can see many different reasons that you may need to have a document translated. There are many many more not covered in this article. For more information on Sworn Translation in Lanzarote, or if you have any questions on this subject or any other Legal matter, please don’t hesitate to contact us. Just fill in the simple form or book now for a consultation regarding this or any legal matter.